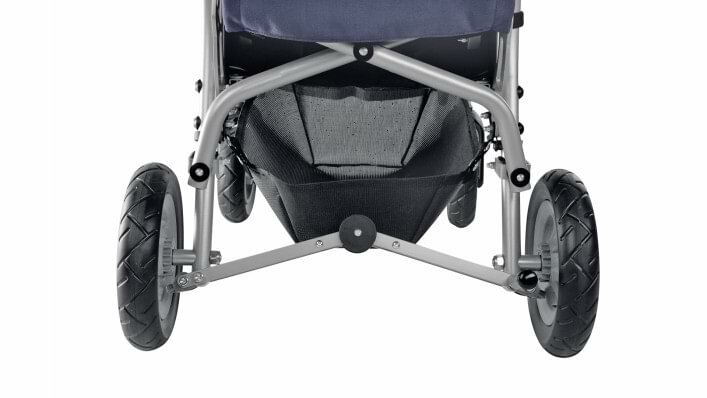 In town and when travelling, this folding buggy is the ideal choice for children with mild postural weaknesses. 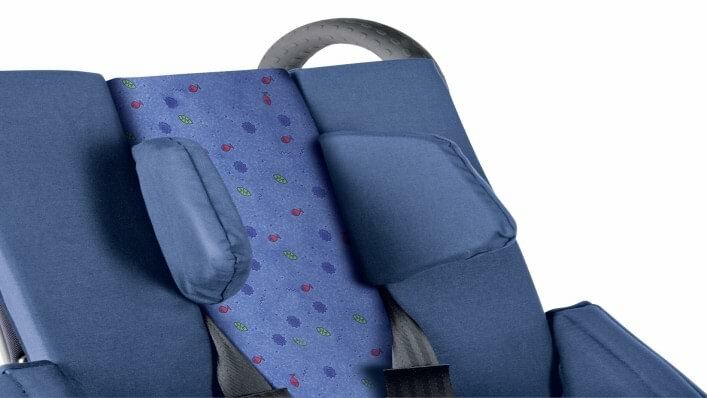 It is suitable for children aged three to 16 years and offers them flexible comfort. 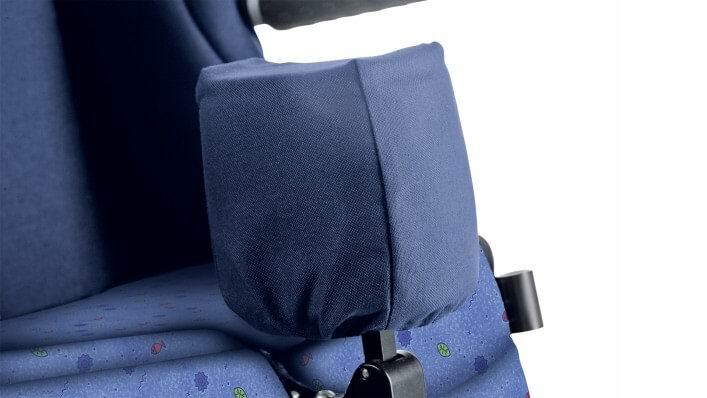 And it offers you as parents many advantages as well – it’s compact, easy to fold and robust. 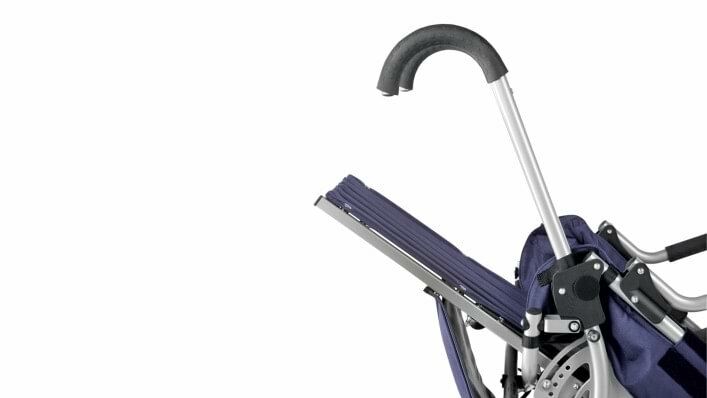 The Lisa rehab folding buggy features an angle-adjustable back support, which you can easily set to a resting position. 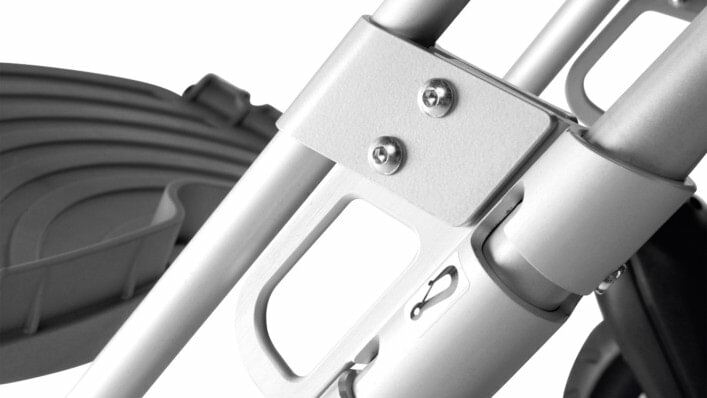 It also offers a height-adjustable foot support. The belt attachment points for transport in cars or vans equipped for this purpose keep you and your child safer on trips. 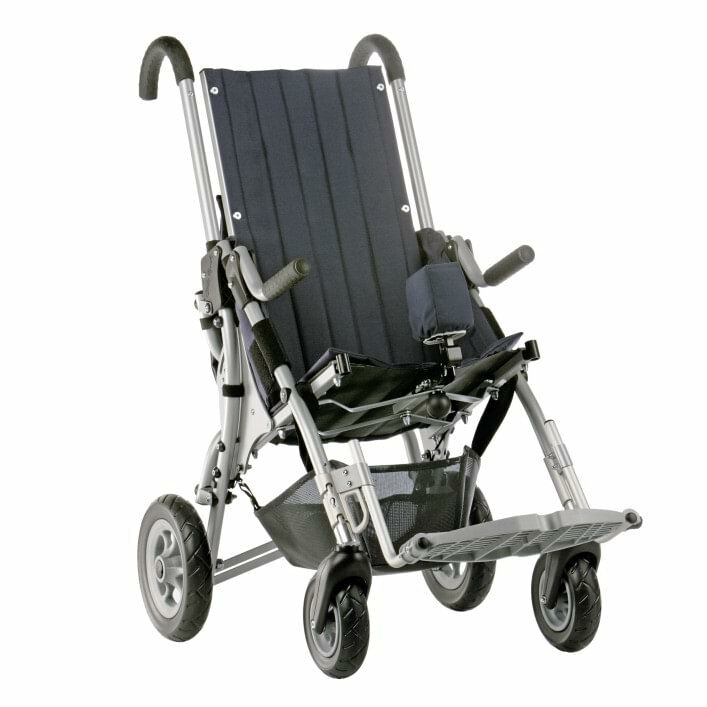 The Lisa rehab folding buggy features a height-adjustable foot support and belt attachment points for transport in vehicles for transporting persons with reduced mobility. 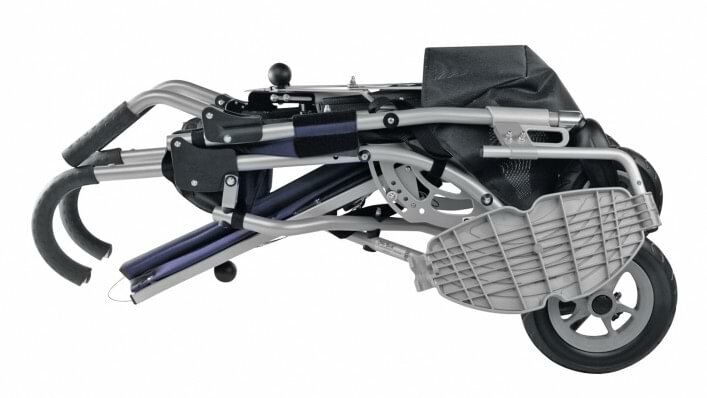 The base model includes a wheel lock. The back support angle can be adjusted by 30°. The Lisa folding buggy folds down easily for transport. Better positioning thanks to multifunctional back support with head support. Folding pommel for leg guidance. 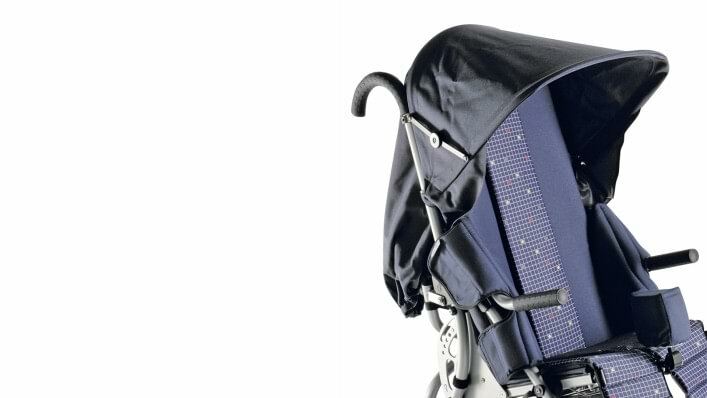 Come rain or shine, a canopy can be easily attached to the folding buggy.